American Idol helped launch some major careers in its 15 seasons on FOX, and even helped revitalize the careers of some of the established stars who came on in later seasons to judge the singing competition. Now, though, it looks like one of the show’s former winners has gotten on the wrong side of American Idol’s producers, because they’re suing Season 11 winner Phillip Phillips for $6 million. According to a report from The Hollywood Reporter, 19 Entertainment, the company that produced American Idol, which filed for Chapter 11 bankruptcy in late April, filed a complaint against Phillip Phillips on Thursday in New York bankruptcy court. That grievance claims that he has up to $1 million of the company’s money and that Phillips should also have to pay 19 Entertainment at least $5 million for refusing to fulfill certain agreements with them and breaching others. In January of 2015, Phillip Phillips tried to get out of his management agreement with 19 Entertainment by filing a petition with California’s Labor Commissioner which stated that the company tricked him into taking jobs and violating the state’s Talent Agencies Act. His claim also stated that 19 Entertainment violated its implied fiduciary responsibility to him by getting him to take jobs that mostly benefitted the company and its partners instead of him. Phillips’ attempt to try getting out of his management contract with 19 Entertainment was closed without a judgement after the company’s Chapter 11 filing, stalling his efforts. 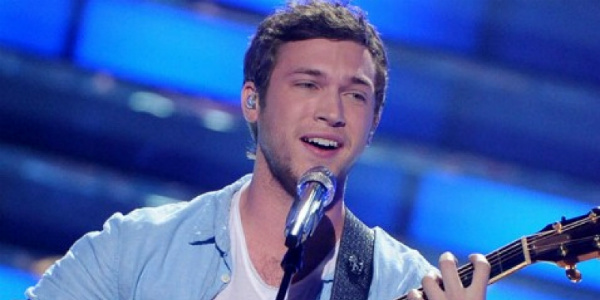 Phillip Phillips won American Idol Season 11, in 2012. Unlike many winners of the show, he actually went on to have a hit single. “Home,” his coronation song, which he performed on the show after winning the competition, went on to sell over 4 million copies in the U.S. It was also used during NBC’s coverage of that year’s Olympics, in various commercials, film trailers, television shows and for the Los Angeles Marathon. His debut album, “The World from the Side of the Moon,” debuted at Number 4 on the Billboard 200 chart and was certified platinum in August 2013. 19 Entertainment alleges that the musician is holding onto their money because he thought that his agreements with the company, which include publishing and recording deals, would be voided by the California Labor Commissioner. Well, let’s hope this gets cleared up soon so that Phillip Phillips can get back to making music, which is all most American Idol contestants and winners really want to do.